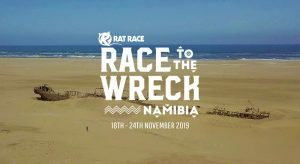 From 17th – 24th November 2019, Luke Humphrey (of HECC) and Graham Roberts (of Ispire), are taking on the biggest challenge of their lives – Race to the Wreck by Rat Race events – a 300km cycle and run across the Namib Desert in an attempt to raise £10,000 for Children with Cancer UK. Namibia means Vast Place. The sand dunes of the Namib Desert and the famous Skeleton Coast are two of the most photographed landscapes in the World – in equal part alluring, evocative, mysterious and foreboding. In the ancient expanse of the Namib Naukluft desert, endless skies merge with towering dunes for hundreds and hundreds of miles. Nothing else. Just sand and sky. And then at the coast, the Atlantic breakers come crashing onto the shore amid colonies of 1000s of seals, rolling in on the cold seas of the Benguela Current all the way from Antarctica. The wreck is the Eduard Bohlen on the Skeleton Coast of Namibia – one of the most famous shipwrecks in the world. 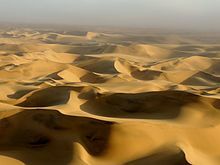 The route is across the mighty Kuiseb Riverbed system to the highest sand dunes on Earth in the Namib Naukluft National Park. Then across them to reach the wild Skeleton Coast – exploring abandoned diamond mines and coming across abundant wildlife such as seal, oryx, jackal and the litter of endless whale bones to which the coast gives its name. The place is beyond rugged; beyond wild. Special permissions have been obtained to make the first-ever, 300km, multi-sport crossing of this ancient landscape on a route that promises a quite extraordinary palette of terrains, vistas and objectives so eerie and unusual, the participants will be quivering with delight for time eternal. This is the Race to the Wreck. Our team is made up of Graham Roberts and Luke Humphrey. 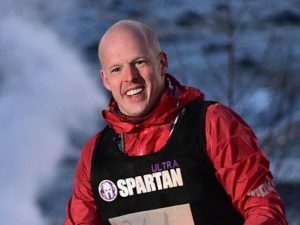 Having completed ultra endurance events around the world, most recently the Spartan Ultra World Championships in Iceland, Graham was looking for an epic challenge, in an epic place, to make an epic difference for people, all with one aim – #inspireageneration. Searching the globe for such a challenge, he came across the Race to the Wreck and was instantly hooked. But for him, a challenge of this magnitude needed something more. Something on a deeper level, more meaningful, more impactful for the people around him. That’s when he got thinking what really matters to him? What motivates him? What drives him to push myself? The answer came quickly – enabling others to realise their full potential. Looking at his close friends, the incredible challenges they have had to face came quickly to light. Not necessarily physically, but mentally, as a result of a devastating loss of their child to cancer. He looked at the impact cancer has had and thought it’s time to do something to support others so they hopefully don’t have to go through the same thing. Luke was looking for a challenge to kick-start an upturn in his own fitness, and inspire those who he supports every day through his coaching. Clearly he didn’t want to take it easy! Having learnt of the Race to the Wreck, his appetite to get involved grew daily, with the opportunity to explore the place of many a childhood adventure through wiser eyes too good to miss. The chance to make a difference for Children with Cancer and their families was a heart-felt icing on the cake. Children with Cancer UK is an incredible charity that invests in invaluable research into childhood cancers, as well as providing the critical support a family needs when cancer strikes. We want to make a difference for them, and we’d like to invite you to join us in making that difference by giving what you can. We are grateful if you can, and we are sure the children and their families would be even more grateful for any difference you can make for them. We are also looking for businesses to partner with on this epic journey. For a donation, we’ll incorporate your branding into our fundraising journey and promotional materials to raise your profile amongst the community. With Graham’s background in motivational speaking and Luke’s expertise in Cricket Coaching, there could also be the opportunity to inspire your organisation once we complete the Race to the Wreck. We have many exciting events planned leading up to the challenge to raise funds for Children with Cancer. Businesses who choose to partner with them will have their logo and services prominently associated with these great, engaging activities we have lined up, plus social media posts targeted at the local population. Stay up to date with Luke and Graham’s challenge with their very own blog, following their journey right up to the race.